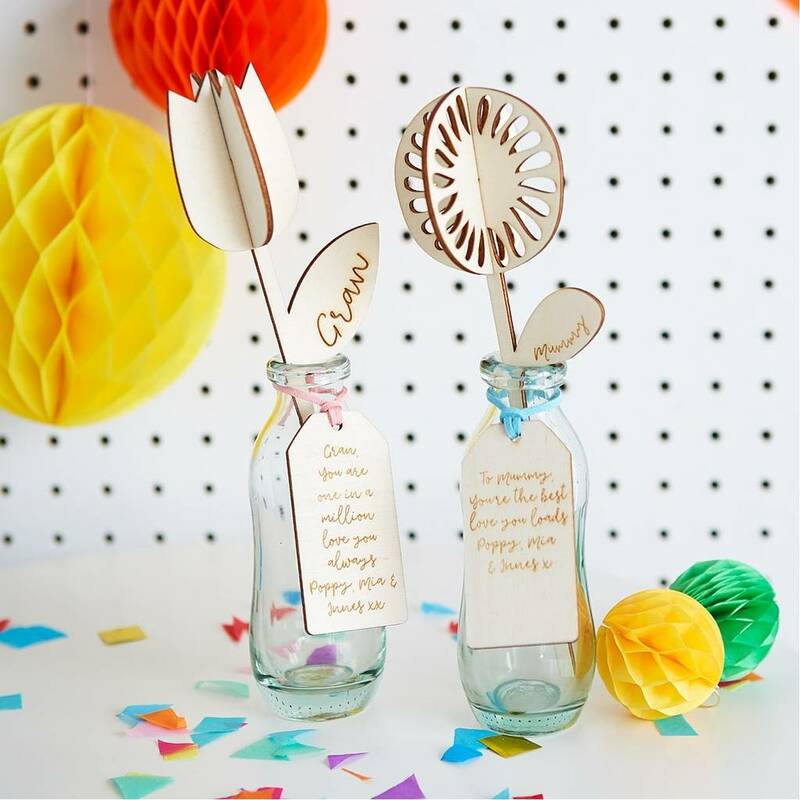 A personalised flower featuring your mum's name on the leaf and a special message on the tag. A gorgeous Mother's Day Gift for mum. 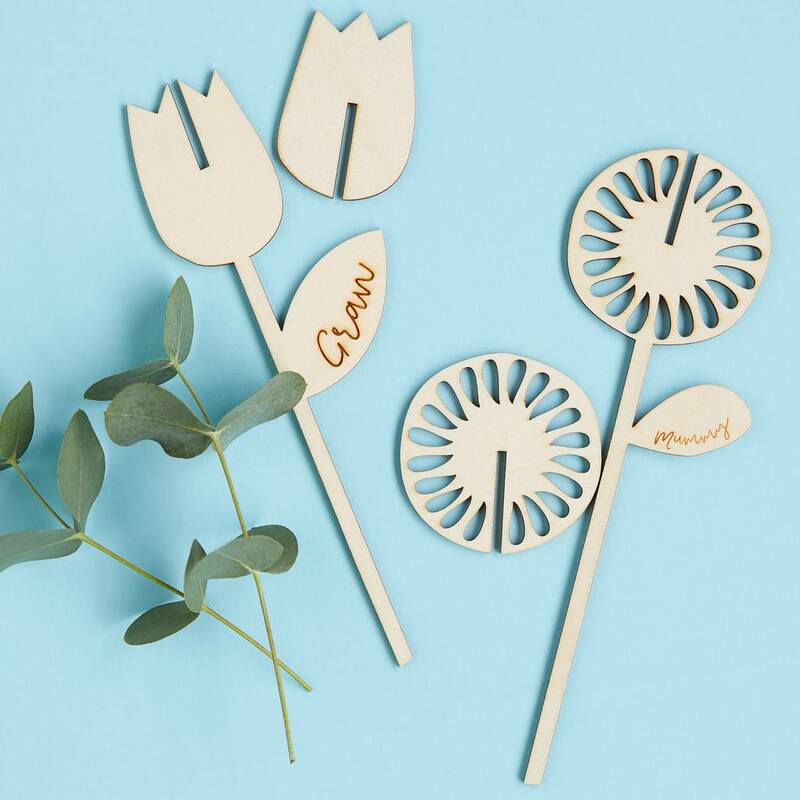 A wooden 3 D wooden flower which can have a message put on the lead for your favourite person on a special occasion. 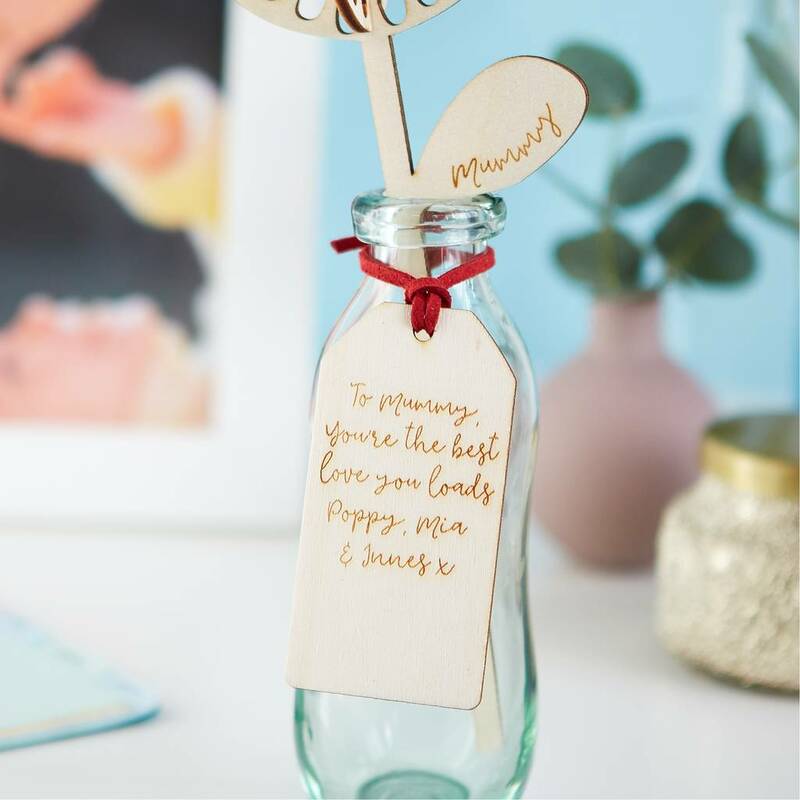 This mother's day gift idea can actually be personalised with a tag for any occasion and we will etch it. 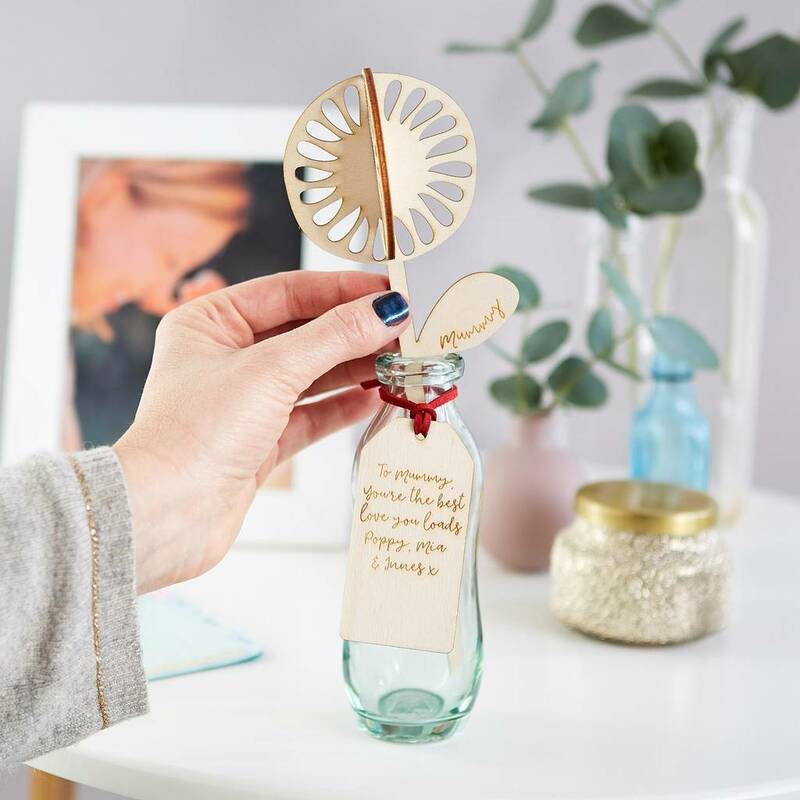 A gift your mum really will want to keep for a long time!